I agree with the saying that beauty is in the eye of the beholder. After all, our experiences and influence our tastes. But I also believe that some things are so beautiful that they transcend personal tastes. Take, for example, a gift I received on my birthday. 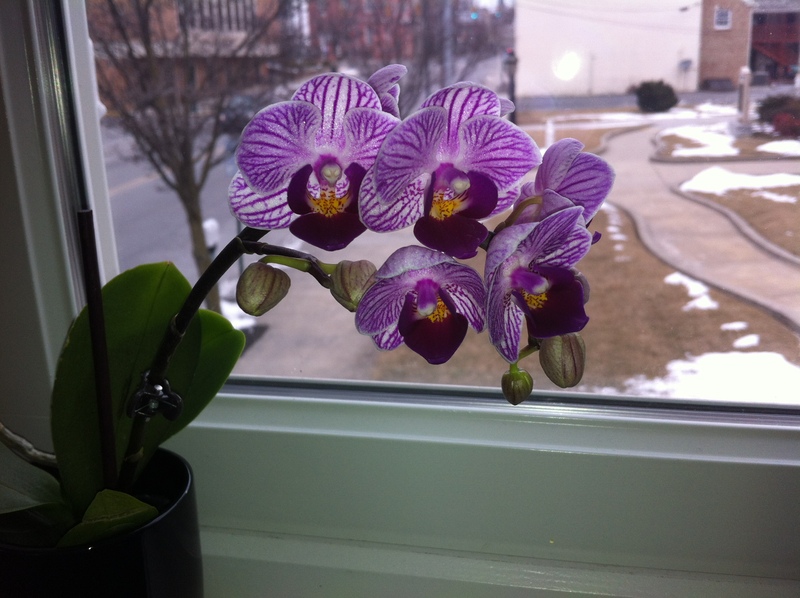 The flower blossoming in my window can’t help but capture the eye of anyone who meets with me. It also can’t help but remind me of the beauty of friendship in my own life. Posted on March 9, 2014, in Family, My life, perspective and tagged 365 reasons to smile, beauty, flowers, kindness, musings, smiles, Thoughts. Bookmark the permalink. 24 Comments. Now, if each day every person in the world could smile for one of these reasons, I think the world would would become a much better place.